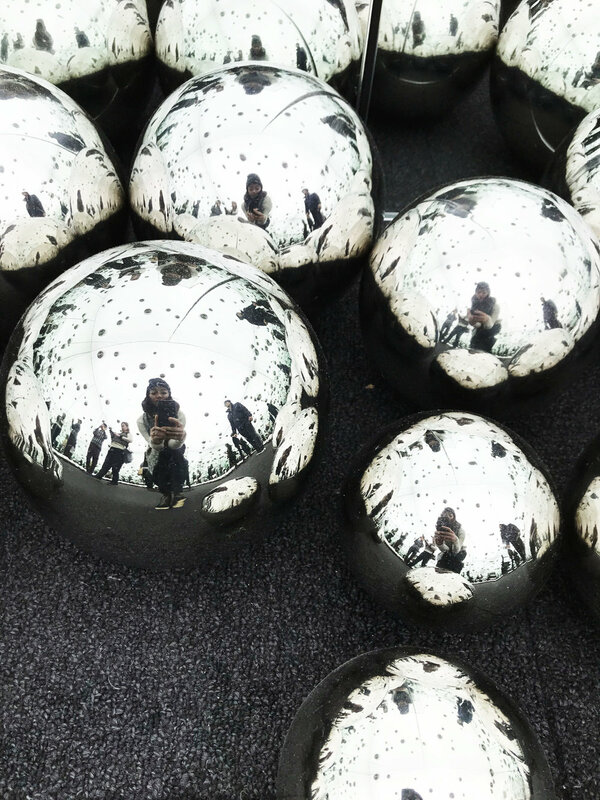 This morning I woke up early and hightailed it over to David Zwirner's 19th Street galleries in Chelsea. There are only a few more days I'll be in the city before Macke and I fly out to California for the holidays. 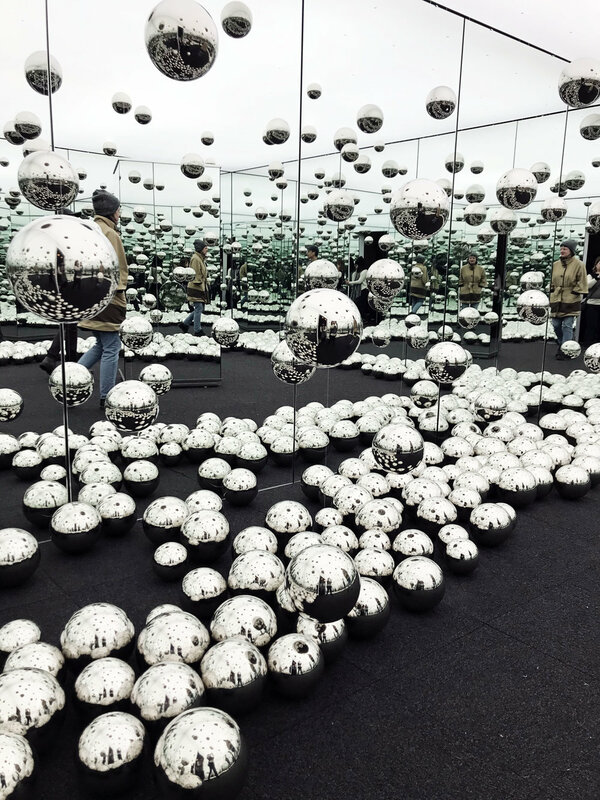 I wanted to catch Yayoi Kusama's Festival of Life exhibit as well as her infinity room. I waited for 4 hours outside as snowflakes softly fell for NYC's first snow of the season. I can't remember the last time I waited so long in line for something - it was a reminder of the determination it takes sometimes to live in this city. 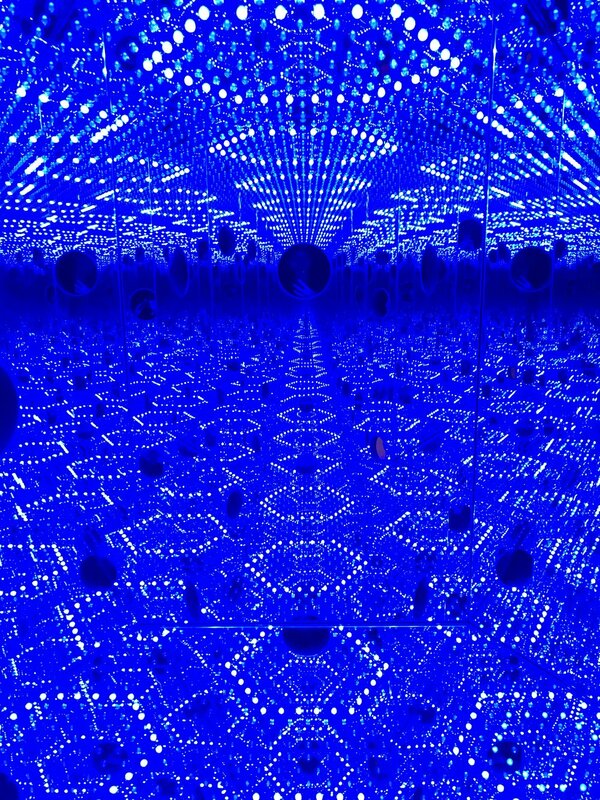 The opportunity to see Yayoi Kusama's work for free...it was worth it! I'm happy that a woman, Asian artist is being recognized globally and lauded for her modern art. I love how her introspection led to her breaking out of her cultural, societal constraints to establish her own style. She moved to NYC and then back to Japan (where she currently has lived for the past 40 years, having checked herself into an institution for the poor state of her mental health). She one said "If it were not for art, I would have killed myself a long time ago." I like thinking of her thinking of what she will make next and how she directs her energy into creativity. The art she makes is so immersive. It's so different from the digital world I live in. Her art is so tangible (but be warned, you're not allowed to touch!) and I feel like I can get lost in it wandering around.